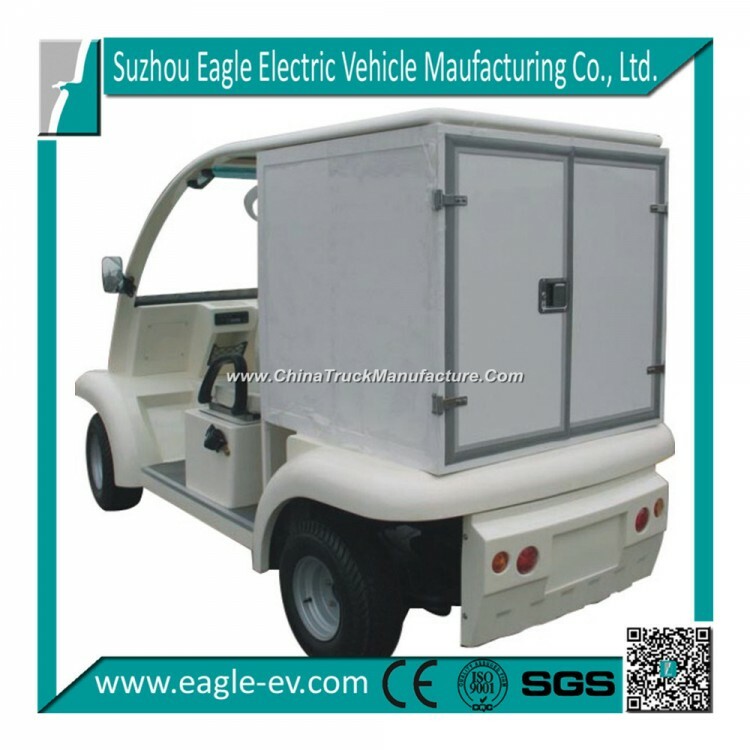 Suzhou Eagle Electric Vehicle Manufacturing Co., Ltd.Was founded 1999, and it's aleading manufacturer specialized in designing and manufacturing 4-wheel electric vehicles, includes:Electric golf cart, electric utility car, electric personal carrier, electric shuttle Bus, electric industrial car, various customized electric vehicles based on standard ones, etc...It has aworkshop area of 20, 000 square meters with 2assembly lines inside.Its daily production capacity is 80 units per day;This can be adjusted with the order volume increasing.It has around 300 workers including 50 engineers in R&D department and 15 engineers in QC department. Electric system Lighting system and horn 2 headlights, 2front turn signals, 2rear turn signals and 2rear brake lights, with DC-DC converter (converting from 48V to 12V), horn. Our company has gotten the unique production license for electric vehicle by the Supervision Bureau of Quality and Technology of China. In 2003, we were approved by ISO9001. In 2006, we were approved by WMI quality system to get our own VIN. With effective management and specialized talents, our company is dedicated to offering top quality products with competitive price and first class after-sales service. Made based on our standard vehicles or based on OEM design.